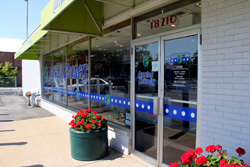 Since 1946, Lansing Cleaners has proudly served you, our customers, with a dedication and level of service unequaled in Chicago South Suburbs and the Northwest Indiana areas. Starting with just one store, Frank McNary's dream of owning his own business became more than he imagined as his business grew to include 6 locations across the area (scroll down to see them). Today, owners Sandy and Tom Ustanik pride themselves on offering a wide variety of services and excellent customer service; all while caring for the environment. 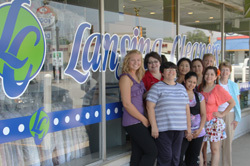 Lansing Cleaners takes our impact on the environment very seriously. Our vehicles run on clean natural gas (CNG) and we have earned recognition and many awards in pollution prevention. We're not just passionate about cleaning your clothes and fabric. Click here to view how passionate we are about the environment. We take care of your clothes as if they were our own. You can leave your delicate clothes, sweaters, winter coats and bedding with us and not worry. The cleaning specialists at Lansing Cleaners are professionally trained to handle any article of clothing and treat them with the proper care. Allow us to remove any unwanted spots to make your clothes look like new. Our relationship to you, our customers, has been one of family with our service-oriented employees working together as a team to deliver a positive outcome for everyone. Call or contact us today with any questions and to arrange for any of our services - 708-474-2459. FRSTeam is a nationwide franchise with core business practices based on family values, which is a perfect fit for us because we stand for the same family values. As FRSTeam of Lansing Cleaners, we join a group of fabric restoration specialists able to customize services to accommodate any need, large or small. We are proud to be a Certified Wedding Gown Specialists™, who specialize in wedding gown cleaning, wedding gown preservation, and wedding gown restoration. We honor the associations commitment to the lasting beauty of your bridal gown! Crete 1070 E. Exchange St.
St. John 9203 Wicker Ave.
© Lansing Cleaners 2019. All rights reserved.